Ditikeni has initiated a new scheme by which companies can commission an original artwork for their annual reports. HWB Communications, a Ditikeni investment partner, manages the scheme. 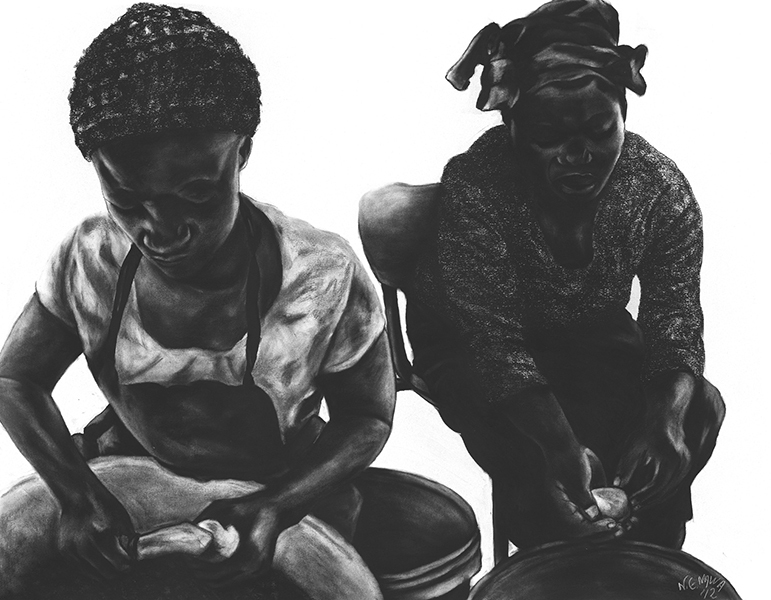 A list of artist and images of their work has been sourced from the Spier arts initiatives and can be obtained from HWB. Companies and organizations may either commission a new work or buy an existing work. The package includes the design and layout work of the annual report, and a public launch is required. The image will be designed into the annual report, and the original will be supplied, framed, for display in your boardroom. Companies get an original and unique feature for their annual report, as well as picture for their boardroom, while supporting a local artist. The theme for our 2012 annual report is “Rural Work”. 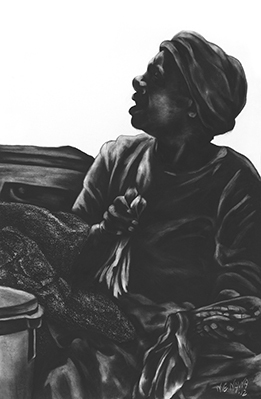 The original artwork represented here – charcoal on board – were drawn by artist Nkoali Nawa, who especially commissioned by Ditikeni. The framed originals are on permanent display at Ditikeni’s offices. 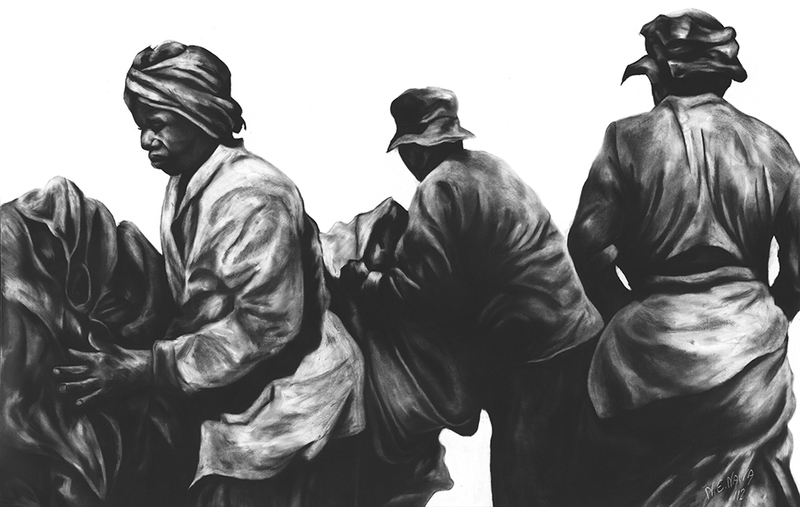 Nkoali Nawa was born in Free State goldfields area and became a gold miner. He completed blastring training in 1991, and was a union steward , but turned to art and later obtained a diploma and degree in fine art from Technikon Free State. 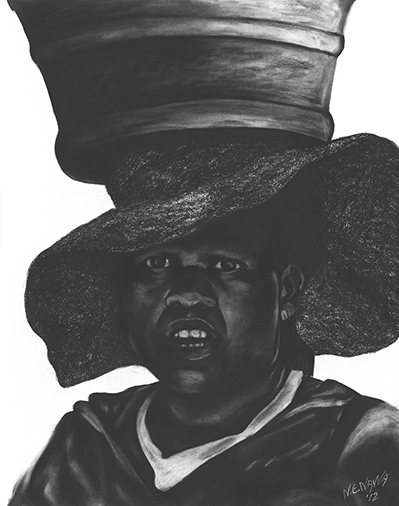 he has exhibited in Johannesburg, Cape Town and Welkom. He has completed commissions for the Mineworker Development Agency, the National Union of Mineworkers, the Labour Research Service, and most recently Community House, in Salt River, Cape Town.